With Fade, Tegan and Stalker behind her, Deuce has left Salvation to seek help for the small community that she now calls home. The Horde is fast approaching, they are simply known as Freaks, a vicious mutant race of former humans that have been evolving into an organised and cunning opponent. Their mission is to gather support within the small community of Soldiers Pond while Salvation is under siege. But gathering a small party of soldiers is no match for the amassing Freaks who are set to destroy everything in their path. By the time the group returns to Salvation, they may already be too late. With a band of survivors in tow, the convoy head back to Soldiers Pond seeking refuge. It's hardly home, but it's a safe haven and the new base of operations for Company Deuce, aptly named after the girl who now plans to make the world safe place. Visiting settlements along the desolate and dangerous roads isn't certain to gain fighters for their cause, but when they enlist the help of the travelers spreading word from town to town, the newly formed army takes on a life of it's own. But it seems not only are they fighting to free the world of Freaks, but a new mutated and feral human, formed as a result of science gone awry. As seemingly safe communities are overrun and slaughtered, it's time for each community to stop hiding in their homes and wait for aide, they must learn to fight for the cause. But while the Horde of freaks reaches epic proportions, Deuce will receive aide from the most unlikely of places, and a new alliance begins with a child who knew no prejudice, simply seeing a soul who needed help. I loved Enclave, I enjoyed Outpost and was eagerly awaiting Horde. It wasn't a disappointment as such, but seemed to drag on and on. Readers who regularly visit Diva Booknerd, know how quickly I tend to read and review, but Horde took me five long days to get through, wanting to abandon the book several times through lack of interest. But I'm thankful I persisted, mainly due to a review by Dre over at Sporadic Reads, I forged on. 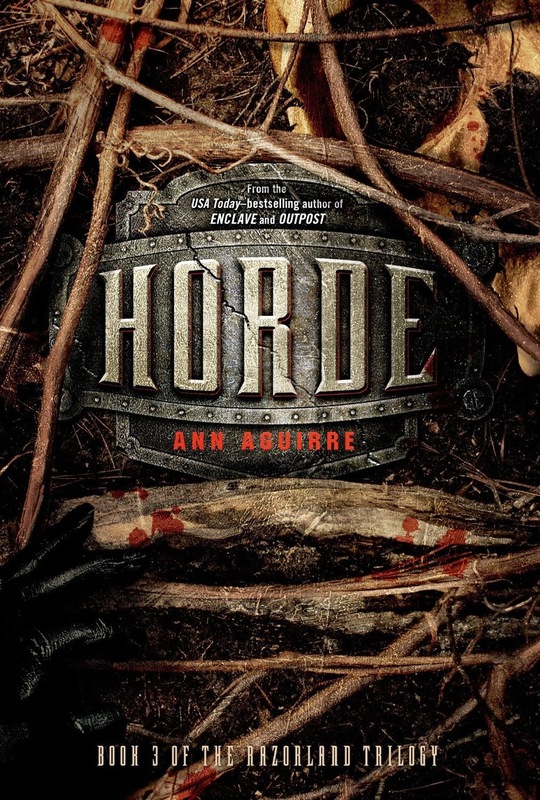 The second half of Horde was awesome and the ending was sweet but not without it's share of heartbreak. Ending on a beautiful note was just enough to redeem the finale of the Razorland series, but just barely. Short and sweet review Kelly! Glad the journey ended up being worth it in the end. Another series I haven't read yet.